Адаптація України до переходу світ – системи від одно – до багато – полюсності: аналітична доповідь [за ред. М. Михальченка]. – К.: ІПіЕНД ім. І.Ф. 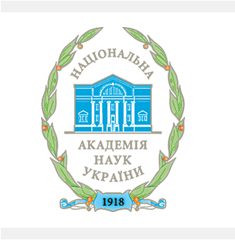 Кураса НАН України, 2012 – 120 с. In the analytical report which was carried out on the basis of research results in Ukraine’s adaptation process to the transition of the world system from the unipolar to multipolar system, the theoretical and practical aspects of the problem, which is associated with the formulation of the new structure of the world system, were analysed. The general features of this structure are defined. It is proved that its formation is not the result of purposeful vital activity, but also is the struggle between different blocs and individual countries. This often leads to the deployment of the cut-throat competitive struggle and exacerbation of regional conflicts. The authors made a conclusion that modern social development requires not only economic and political modernization, but also the development of new national strategy, adapted to the conditions of the modern transformation of the world-system, dynamics of civilizational changes, something efficient, consistent, long-term, lasting and resistant to the possible indetermination or changes of surroundings conditions of concrete action plans, which are aimed at the goal achievement - the development of an independent, competitive country. The authors proposed the model and possible solutions to the problems, in particular, through understanding of the changes that are taking place, and the implementation of specific measures to respond to the challenges of out time.